The Chancellery of the Riigikogu announces the tenth competition for August Rei Scholarship in Parliamentary Studies. The purpose of the Scholarship is to support and promote parliamentary research. It is awarded to students of political sciences, law, sociology, international relations or related studies for master’s theses or doctoral dissertations on parliament, parliamentarism or the parliamentary assemblies of Estonia. All students, master’s students and doctoral students who are interested in conducting research on the subject are welcome to submit the drafts of their works. Students who want to apply for the Scholarship have to submit an application, CV, title of the master’s thesis or doctoral dissertation, research proposal and timetable, the supervisor’s recommendation and transcript of academic records to the Chancellery of the Riigikogu by 20 September 2018. Up to two 1500-euro scholarships are awarded in two parts. The first part is paid to the master’s or doctoral student, or a candidate for master’s or doctoral studies after being admitted as a student, who submitted the best proposal for a thesis or dissertation. The second part is paid to the same person after successful defending of the thesis or dissertation. The applications for scholarship are evaluated by the scholarship committee of the Chancellery of the Riigikogu. The winners of the competition will be announced by 30 October 2018 at the latest. August Rei Scholarship in Parliamentary Studies is awarded annually, and it was founded by the Chancellery of the Riigikogu in 2008. By today, the scholarship in parliamentary studies has been granted to twelve master’s and doctoral students. Eleven of them have successfully defended their dissertations. In 2016, the scholarship was awarded to Jürgen Tamme, whose master’s thesis “Treatment of Foreign and Security Policy in the Parliamentary Institutions of Estonia in 1917–1940” discusses the possibilities of parliamentary institutions to regulate and control foreign and security policy during the period between the two world wars. In 2016, the scholarship was also awarded to Vladimir Svet, whose master’s thesis “The Riigikogu’s Right of Self-regulation in the Constitution of Estonia and in Comparative Perspective” focuses on whether the right of self-regulation as an institution confirms to the Estonian law, when and under which circumstances the parliament’s right of self-regulation emerged, how the right of self-regulation has changed in time, and how to give content to it in the legal space of today’s Estonia. Earlier, the scholarship has been awarded to Kristiine Järvan, Lukas Pukelis, Märten Veskimäe, Andres Reiljan, Dmitri Gerassimov, Kadri Vakmann, Katerina Gorobets, Getter Tiirik, Priit Kallakas and Mihkel Solvak. 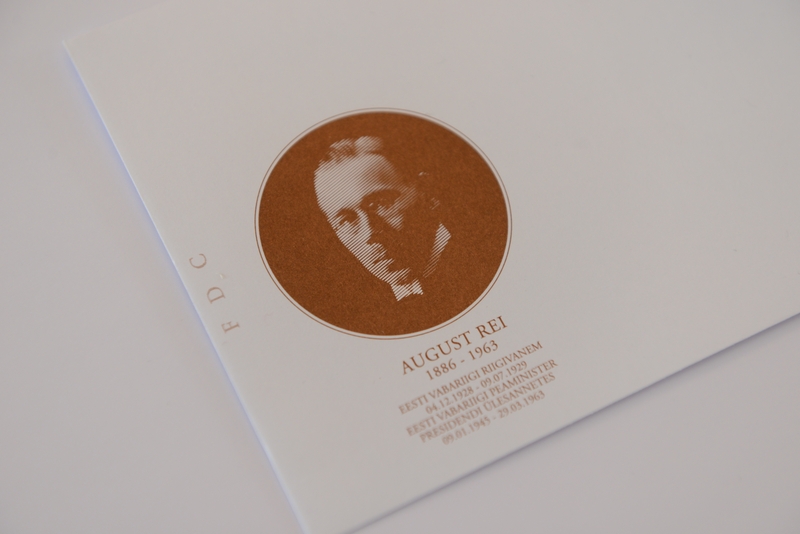 August Rei was the Chairman of the Constituent Assembly from its convening on 23 April 1919 until the end of its work on 20 December 1920. 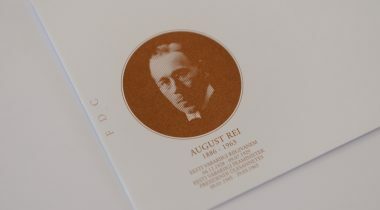 In 1920–1937, Rei was a member of the 1st–5th Riigikogus; from 9 June 1925 to 22 June 1926, he was the Speaker of the Riigikogu.